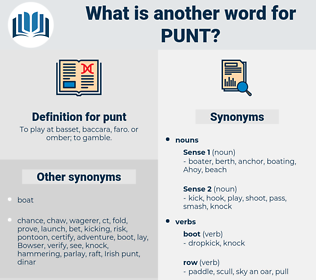 What is another word for punt? To play at basset, baccara, faro. or omber; to gamble. 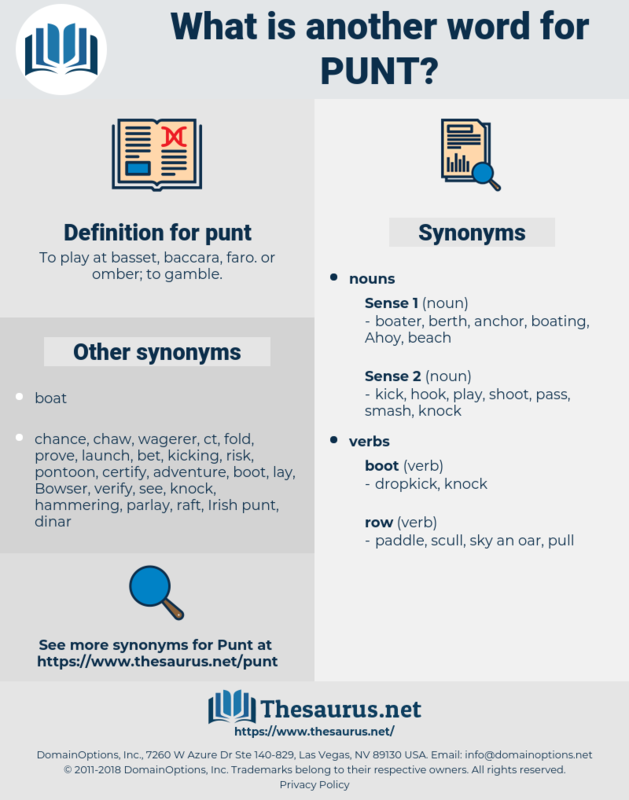 I can't manage the punt all alone! I say, come and have a punt about with my new football, will you?